November is just as chock full of good concerts as October, so Washingtonians have to make some difficult choices. While there are more than ten options in this month's picks, many of them conflict on the calendar. I have listed them all, and readers will have to choose. Several big names are coming to the venues of the Washington area this month, beginning with Maurizio Pollini, who will play a recital in the Music Center at Strathmore (November 1, 2 pm). 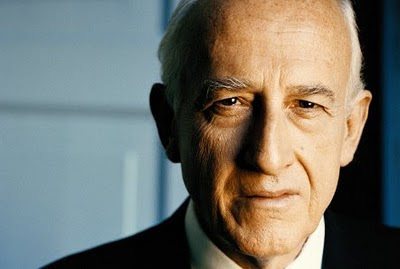 Pollini has, for some reason, fallen off the roster of Washington Performing Arts, but he is still coming to the area, most recently in 2013, thanks to the folks at Strathmore. [Pollini has canceled this concert.] On the same day, Russian pianist Vladimir Feltsman returns, for a recital at JCCGW in Rockville. Feltsman, too, was once on the Washington Performing Arts roster, but no more. Washington Performing Arts is bringing back Norwegian pianist Leif Ove Andsnes for a recital in the Kennedy Center Terrace Theater (November 14, 7 pm), a welcome return after his 2012 recital. One of the more exciting concerts on the season at the Phillips Collection is a recital by fortepianist Kristian Bezuidenhout (November 29, 4 pm). We have consistently loved his recordings and live performances. 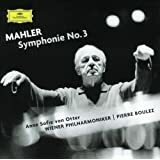 The National Symphony Orchestra has a banner month, beginning with Christoph Eschenbach leading a performance of Mahler's third symphony, with Anne Sofie von Otter as mezzo-soprano soloist (November 5 to 7). The Choral Arts Society of Washington and Children's Chorus of Washington will also be featured. The speculation about who might succeed Eschenbach as NSO music director continues later in the month when eminent Czech conductor Jiří Bělohlávek takes the podium (November 19 to 21). The program has a Czech orientation, with Mozart's "Prague" symphony and Bohuslav Martinů's sixth symphony, plus pianist Igor Levit, who had to cancel his local debut this past May, as soloist in Beethoven's fifth piano concerto. Choices abound for the operatically inclined, beginning with a rare production of Kurt Weill's Street Scene, a memorable piece with lyrics by Langston Hughes, presented by Lyric Opera Baltimore at the Modell Center in Charm City (November 13 and 15). On the same weekend, Washington National Opera opens a short run of the new version of Philip Glass's opera Appomattox at the Kennedy Center Opera House (November 14 to 22). Dennis Russell Davies Dante Santiago Anzolini will conduct an excellent cast starring David Pittsinger, Richard Paul Fink, Soloman Howard, and Melody Moore. For earlier opera, there are two concert performances that should be worth your time. Washington Concert Opera opens its season with Rossini's Semiramide at Lisner Auditorium (November 22, 6 pm). Along with some singers making their WCO debuts, mezzo-soprano Vivica Genaux will sing the role of Arsace. The following weekend, Opera Lafayette will perform Vivaldi's Catone in Utica (November 28 and 29), which Ryan Brown conducted at Glimmerglass this summer. Alan Curtis's recording used a reconstruction of the missing first act, but Glimmerglass performed only the second and third acts. The Carducci Quartet will perform all fifteen of Shostakovich's string quartets at the Phillips Collection, over two consecutive Sundays (November 15 and 22, 4 pm). It's not as intense as performing them all in a single day, as they did in London earlier this month, but it will still be a tour de force. Unfortunately, the Takács Quartet will be playing at the same time as the first of those concerts, at Baltimore's Shriver Hall (November 15, 5:30 pm), including music by Haydn, Dvořák, and a new work by Timo Andres called Strong Language. If you remember the dead in the month of November, there is a beautiful way to start, when Chantry performs Victoria's complete six-voice Office of the Dead, including the Requiem Mass and two funerary motets, in the gorgeous acoustic of St. Mary, Mother of God, in Chinatown (November 1, 3 pm). Two concerts at the Library of Congress already made our Top 25 season preview. First, Bach Collegium Japan performs music by Bach, Vivaldi, and Handel with soprano Joanne Lunn (November 4, 8 pm). 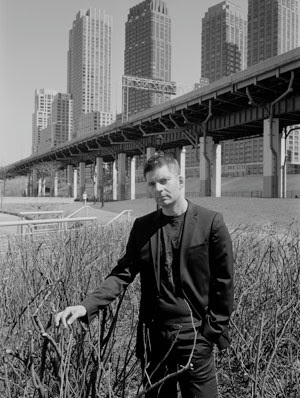 Then Matthias Pintscher, another possibility for the NSO music director position, comes back to Washington with France's renowned Ensemble Intercontemporain, performing the world premiere of a new work for violin and piano by composer Hannah Lash, Varèse's Octandre, Pintscher's Profiles of Light, Ligeti's Chamber Concerto for 13 instrumentalists, and Berg's Chamber Concerto for piano, violin, and 13 winds (November 13, 7:30 pm). See the complete calendar after the jump.